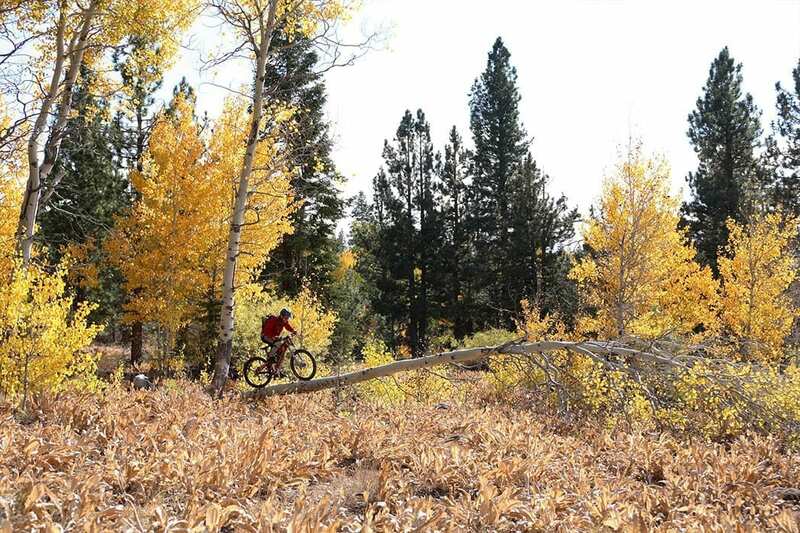 Lake Tahoe biking offers up some of the best views of North Lake Tahoe. 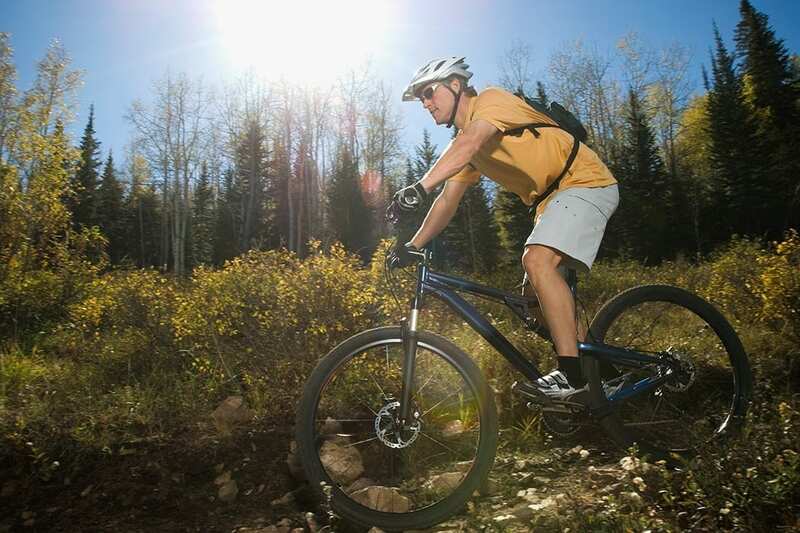 Best seen on two wheels, choose from miles upon miles of road biking paths, to nationally-rated mountain biking trails offering panoramic views of the Lake. A new and exciting shared use path is being planned from Incline Village, NV to Sand Harbor, NV. Take a look at this video to get the scoop and start planning! Whether you’re ready to click in on your own ride or it’s your first time up the mountain and you’re looking to gather gear here, you’ve come to the right place. We recommend finding forums for the real skinny. For help cutting your learning curve, find a bike path on a group ride. 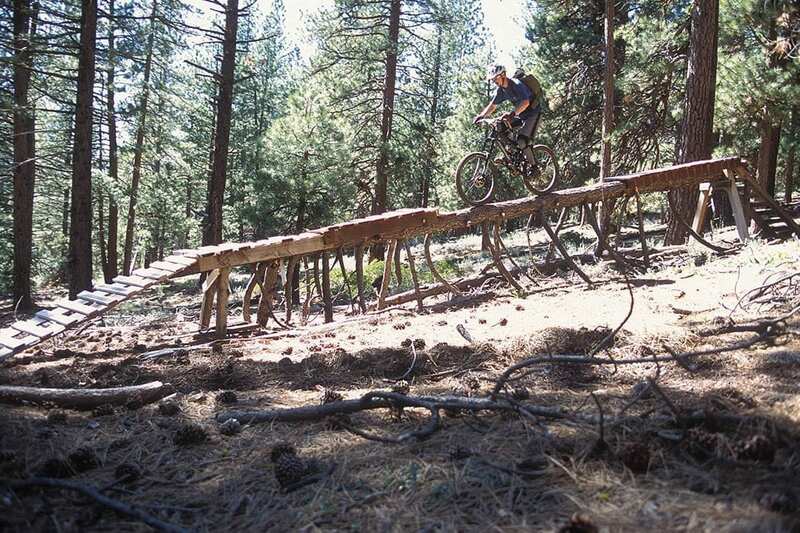 North Lake Tahoe has what you need to make your single-track or road riding experience fun. Click and scroll below to find a shop in your local neighborhood. 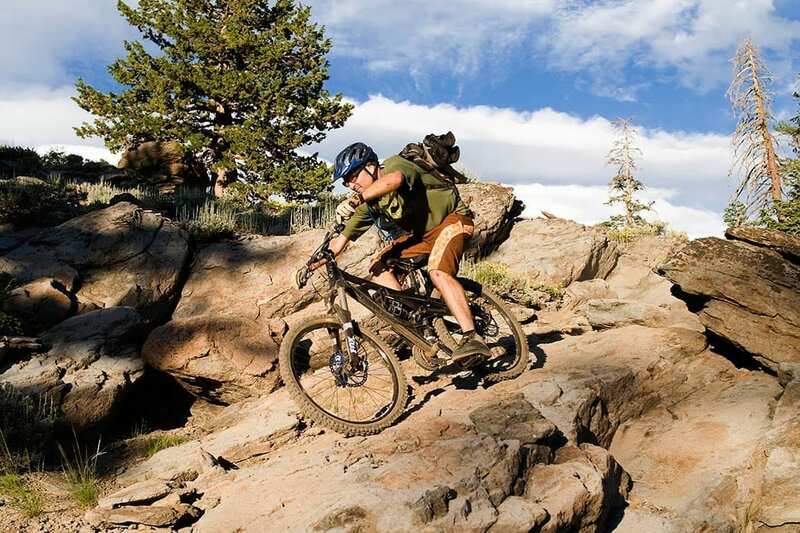 Looking for the complete North Lake Tahoe biking adventure, sans responsibility? Let the locals share their knowledge with you. Getting ready to hit the road or single track? Reward yourself with a stop at trail’s end with the North Lake Tahoe Ale Trail. Hit the trails in the backcountry. Here’s a sample to get you started. The Broken Arrow, presented by Salomon, is part of the 2019 US Skyrunner Series. The three-day event, held at world-famous Squaw Valley, consists of four iconic distances. Each distance showcases the beauty of Lake Tahoe, the “Jewel of the Sierra Nevada.” The Broken Arrow represents a unique style of European-inspired mountain running characterized by off-trail scrambling, steep terrain, and massive amounts of vertical gain and loss. The majority of this takes place above 6,000 feet and above treeline. On June 21-23, 2019 elite and recreational participants will experience an unforgettable trail experience “where the mountains meet the sky.” The Broken Arrow Skyrace features four distances: a 52K, 26K, 10K and Vertical K. Runners will be treated to spectacular views of Lake Tahoe’s emerald-blue waters and Squaw Valley’s unmistakable high-alpine terrain. The Broken Arrow Skyrace is a 2019 UTMB Qualifying Race. The 52k is worth 3 points and the 26k 2 points. Points are applicable for all UTMB races (UTMB, CCC, TDS, OCC, PTL). A 3 hour moderate hike with art performances and installations along the way. How does this transpire? You hike in small groups with an interesting guide. Whether it’s Mother Nature (she’s there) or another one of our beloved volunteers, he/she will guide your way into a parallel universe with surprises along every turn. Treat yourself to a few well-deserved hours breathing in the fresh mountain air while embracing an experience like no other.